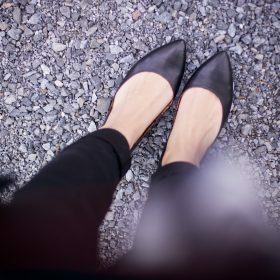 From brogues to outdoor flats and everything in between, women's flat shoes are the perfect addition to any kind of outfit. Having Sunday brunch? Choose a pair of ballerinas to go with your boyfriend jeans and blouse and you're out of the door. A day at the office? Go for a pair of loafers with black pants and a striped shirt. You can use the filters below if you're searching for something specific or browse the category to discover new styles!